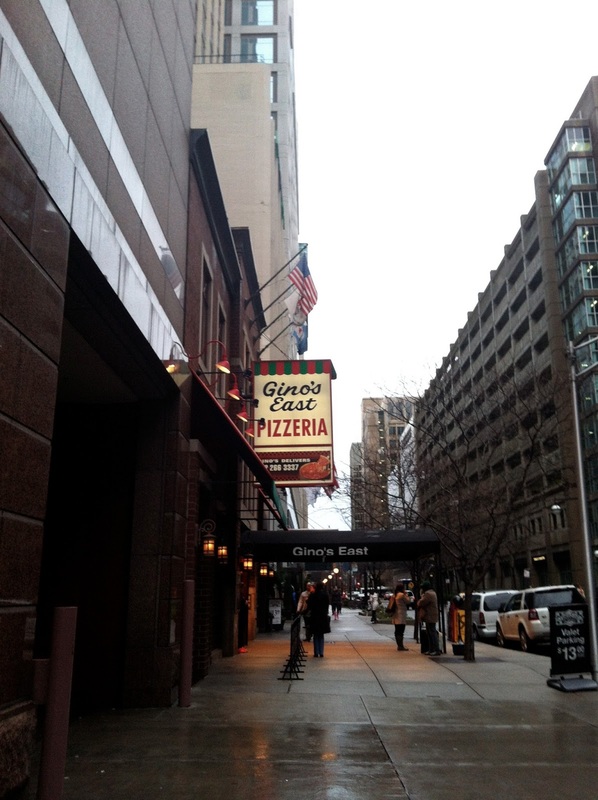 I wasn't disappointed with Gino's East Chicago. 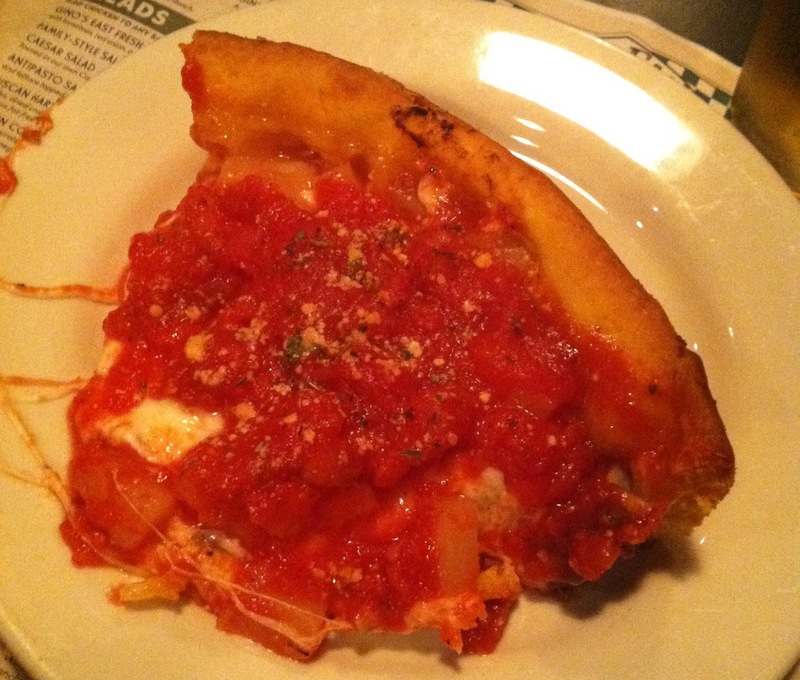 It was probably one of the best meals of my entire Chicago trip. You have to actually wait like 45 minutes from the time you order for the pizza, because it's that fresh. It was a BANANAS. Pepperoni and Pineapple is my pizza fav. My coworkers and I demolished some beer and pizza. The place had big booths, was covered in graffiti, and was loud and fun. Those of us who snuck out for pizza instead of fancy food were in blissful pizza heaven. We walked back to the hotel in food hazes, and I'm sure I wasn't the only one who went to bed early extremely fat and happy. YUM. If I'm back in Chicago, this is where I'll go for deep dish. Well, unless someone has a place they think is better. Because I'm all for trying new things. Even Blackbird someday. But sometimes a girl just wants to PIZZA. pinning this to try in Chicago next time!